January 3, 2013 Daniel G.
Thanks to the Internet, homebuyers today are more knowledgeable than ever. Even first time buyers are armed with a plethora of resources to educate them about the ins and outs of home ownership. But despite all the available information, some misconceptions still prevail, causing confusion about the process, the market, and financial aspects of buying a home. Here are some myths ready for debunking. 1. You will find the perfect home. Most people desire more than a roof over their head. They want to be wowed when they enter a prospective home; they want it to “speak” to them, and ideally match up with the dream home in their head. When shopping for a new property, it is important to have a list of your priorities: your ‘musts,’ ‘wants,’ and ‘deal breakers.’ Give this list to your realtor, and try to remain flexible. 2. Buying is cheaper than renting. In many circles, this is considered common sense – but it may not be true for you. There are many factors to consider besides comparing your current rent to a would-be mortgage payment. Don’t forget about household expenses, upkeep costs, and property taxes. For many, the advantages of buying a home are not purely financial, including factors such as added safety, more living space, and better school quality. The monthly payment is not all there is. 3. You should buy a home you can grow into. This may make sense on the surface: you are a newlywed couple planning to have two or three children, and want to buy a home for your future family. But for many, plans change with time. Jobs require families to relocate; you may find that two instead of three children is enough, or, the opposite: you may end up having twins. In the meantime, there is more risk than benefit in paying for more house than you need. 4. Foreclosures offer the best deals. While some savings may exist, the value to the consumer of a foreclosure or short sale may be mixed. Often homes may be in bad shape, and lack the pre-sale readying a motivated owner would invest into the property. Also, it is often easier to negotiate with private sellers than a bank. If you must bargain shop, a better strategy may be to shop in the off-peak winter months, when all prices are historically lower. 5. Making a low offer for your top choice will save you money. This is not always true. Often homes have multiple offers on the table, and a bid below market value may result in an immediate rejection rather than a counter offer. If you want to initiate negotiations, make sure your offer will attract the seller’s interest. 6. Now is not a good time to buy a home. 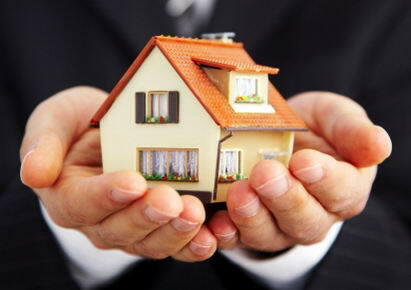 The recent recession has impacted the housing market severely, but for buyers, the changes have worked in your favor. We are currently in a buyer’s market, and it will not last forever. Right now, sellers are motivated to make their properties as attractive as possible, mortgage rates are at all-time lows, and low down payment options give new homebuyers a range of affordable properties. With the market already starting to increase, and prices climbing upward, now really is the perfect time to buy. Don't let it pass you by.